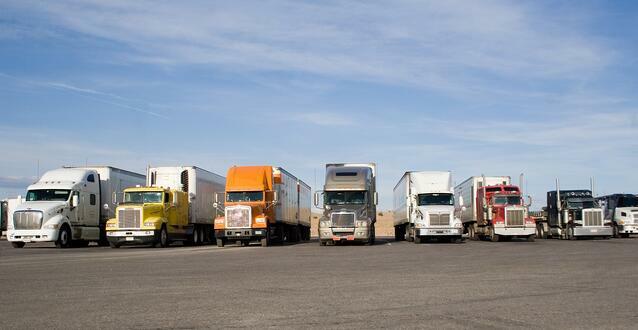 Truck Cargo Thefts Are On the Rise: Are You Tracking Fleet Vehicles? Every day, transportation companies are entrusted with the safe passage of cargo. A fully-loaded trailer can carry hundreds of thousands, even millions, of dollars’ worth of cargo. Add to this the sizeable value of the semi-truck itself, and you have a very tempting target for thieves. This ever-present risk of theft has driven many companies handling high-value shipments to use strong anti-theft measures, but what about shipments of less valuable goods? As it turns out, many companies handling lower-value shipments may need to start adding more protective measures to their own vehicles and shipments. With thieves targeting shipments with a lower total value, the time is right for transportation companies that move loads such as food, drink, clothing, and other lower-cost goods to start implementing stronger anti-theft measures. According to the article, full truckload thefts accounted for “83% of all reported thefts.” The fastest way to accomplish such a theft is to either hook up the trailer to a new truck and carry it off, or to hijack the entire truck. This can make the use of tracking fleet vehicles with GPS tracking devices one of your most powerful antitheft options. Use truck tracking for the location of stolen trucks/trailers. Log trailer door open/close events. Get alerts when trailers are disconnected from truck power sources. Create alerts for when trucks leave their designated route. These capabilities each enhance your ability to prevent theft and recover lost cargo in different ways. Logging events such as trailers being disconnected/opened at unusual times or leaving their assigned routes can provide an early warning of theft attempts in progress. Using remote starter disable keeps thieves from starting the vehicle. Having the current or most recent position data can aid in recovery efforts by allowing you to guide law enforcement to the location of your stolen equipment. This reduces the time it takes to find the cargo, increasing the likelihood of recovering your assets intact. With the recent trend of thieves making more attacks against lower-value cargo shipments, it’s more important than ever to ensure that your assets are protected. Fleet vehicle tracking devices and software just happen to be one of the most effective tools for fighting theft.